Do you guys wonder who cut Ate Zia’s hair? Here’s a little info. 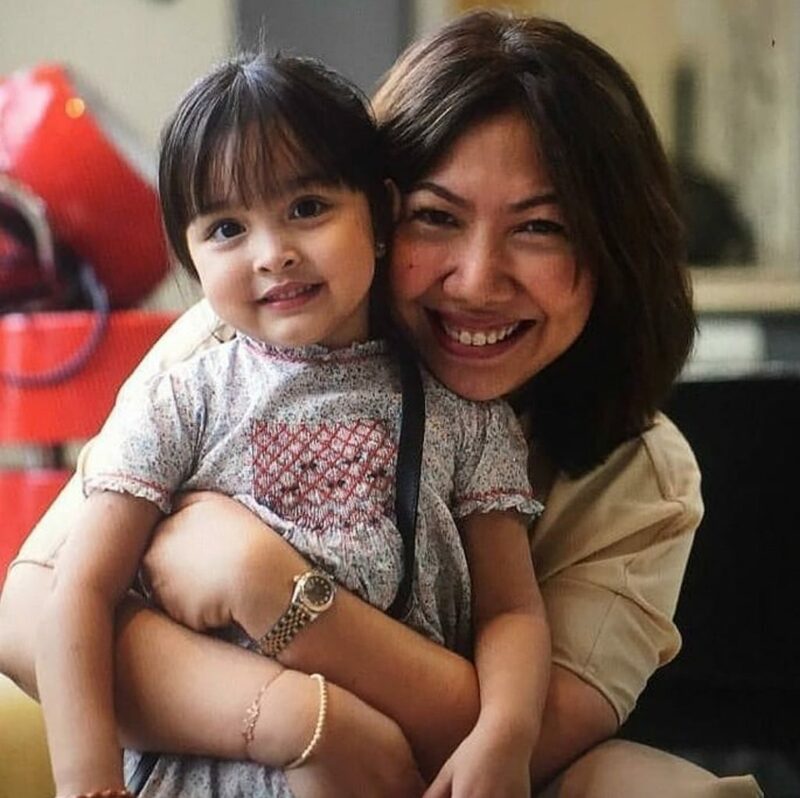 Ate Zia’s hair was cut by Ms. Celeste Tuviera, the owner of Symmetria Salon. She is the daughter of Entertainment mogul Mr. Tony Tuviera. Ms. Celeste has been cutting Marian’s hair for years now. And she is a good friend to Dantes Family. So no wonder Zia chose her to cut hers. “So happy to witness this one grow up to be such an affectionate, gracious, and kind little human being. Of course, I couldnt be more thrilled when she wanted me to do her first haircut.” She said. “Thanks Marian and Dingdong for bringing this absolute ray of sunshine to my workplace. The video of Zia getting her first haircut now has 615,000 views. While the gender reveal video now has 1 Million views. Meanwhile, here’s another video from our christmas party last sunday. Here’s a hilarious video when Zia prank her Mom. Yes.. at 3 years old she already has a very good sense of humor. Then Zia goes, “Are you ready for Mama to sing?” Fans errupted with laughter. You gotta watch Marian’s reaction below.. it was so funny!